Jon, Alice, Lecretia & Matt heading to the roller disco. A story from Lecretia’s English friend Alice, who met Lecretia while she was on her OE in London, and before Alice emigrated to New Zealand. I first met Lecretia in London in 2001. I answered an advert for a flatmate to join a group of young professionals in Wapping, London. Although Lecretia was doing her OE, she was not living with ten other kiwis in a hovel in Shepherd’s Bush. Instead she had found a nice newer house with four rooms, with British flatmates, in E1, by St Katherine’s Dock and five minutes from Tower Bridge. I was lucky enough to join them. Lecretia is tolerant, open-minded, fun-loving, and kind. She is a great gourmet and loves fine food and cooking. She makes the best granola I have ever tasted. I liked it so much that used to sneak bowls full and only realized I was found out when she kindly placed a little note on top of the container asking me to ensure the lid was properly on after taking some. I loved going out dancing with Lecretia, she and I share a passion for dancing like no one is watching and between us we would dominate the dance floor. Lecretia enjoys the finer things in life, not just a Pinot Noir, but a really good one, not just a meal out, but at a place that may have a Michelin star chef using the finest ingredients. She made the most of being close to Europe and went on several trips and came back looking like a Greek goddess having enjoyed the sun, sights and culture so much. Lecretia was probably the first to hear my tale of my first date with my Internet boyfriend, Jon, and went on to meet him, and to be his friend too. Jon and I are now married and living in Wellington. When we came on holiday here in 2003, Lecretia had returned home and we stayed with her in Kelburn. What a flat that was. It was stunning. 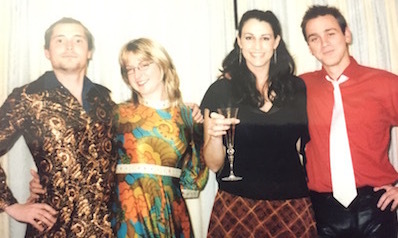 When we arrived here again in 2004, she picked us up from the airport and we stayed with her and her flatmates in Mt Victoria. Another fine choice of home and location, and what a view! We enjoyed meeting Matt, finally a fitting man for our majestic friend, and attending their wonderful wedding and celebrations. Does she remember the roller disco that we all dressed up for? I cant remember if that was before or after you got married. I remember the happiness of meeting up for lunch in September 2008 to let her know I was pregnant, to hear that she was also pregnant after several rounds of IVF. 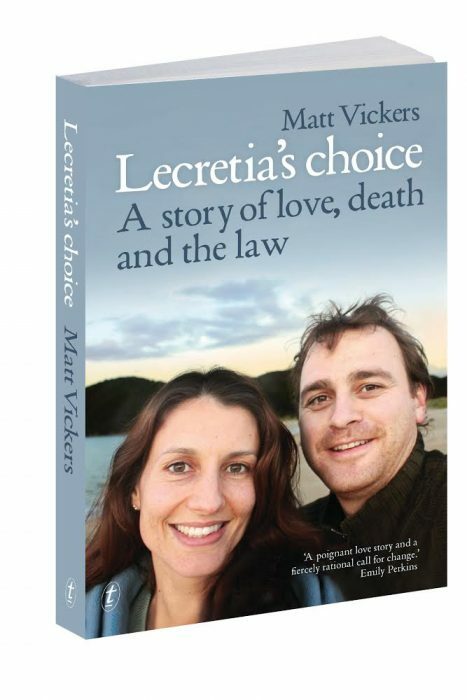 It felt so special to hear of Lecretia and Matt’s joy at that time. Very sadly Lecretia’s pregnancy didn’t last, though despite her loss, she bravely came to my baby shower the following February and has always been loving to our children. Lecretia is a true life friend.